So, I’m Irish. More accurately, I’m about 25% Irish. My maternal grandparents’ last name was Lindsay. Although I’ve known this my whole life, it’s only been in the past year that I’ve become curious about my forefathers and mothers. Through a popular genealogy website and some internet research, I’ve been able to learn some interesting history. The documents and history I’ve been able to uncover so far has sparked my writer’s mind. The first Lindsays arrived in Upper Canada several years before the onset of the Irish Potato Famine that affected so many between 1845 and 1847. I continue to search for clues that may explain why, generations ago, they left their home for life in a new land.My three times great-grandparents, John and Martha Lindsay, sailed from Cootehill, County Cavan, Ireland in 1830. They brought three children, and Martha gave birth to a fourth only 6 weeks after landing in Bytown, now known as Ottawa Canada. I can only imagine the experience of being tossed about in the darkened hull of a ship for six weeks at sea so late in a pregnancy. Not long after their arrival, they were joined by John’s parents, my four times great-grandparents. His father became ill on the crossing and died roughly six weeks after landing in Bytown. 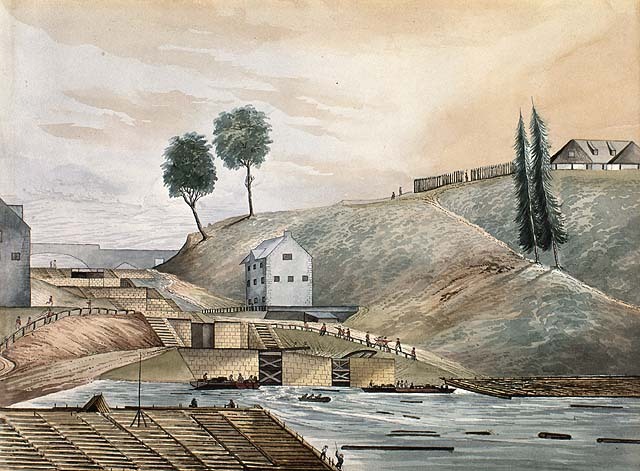 He was laid to rest under some rocks along The Grand River, later renamed the Ottawa River. In the late 1830’s, the Lindsays lost their home to fire. An oral history, recorded by a distant cousin and historian, tells that John brought the family into a shed, and covered them with straw and blankets rescued from the fire. Martha became ill following the blaze, so John attended her through the night, giving her sips of whiskey and keeping her warm. By the next morning, her health returned. Irish immigrants comprised a large part of the labour force required to dig out the entire 202 km length of the Rideau Canal system. The poorest workers lived in hovels dug into the muddy banks of the canal. My ancestors were lucky. According to the oral history, they worked in the burgeoning timber trade that Bytown and Hull Quebec are so famous for. 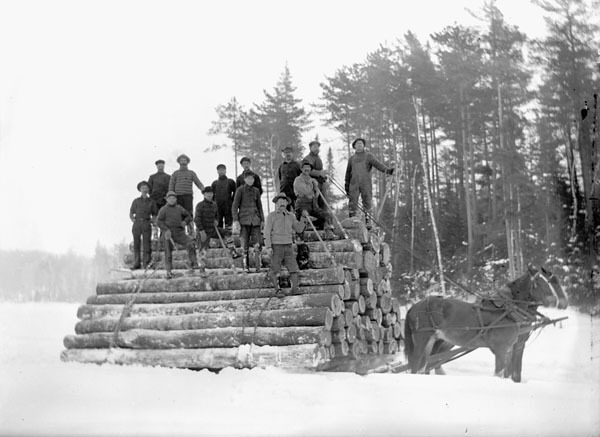 Lumber men left home over the winter months to cut trees and pile them along the river. In the spring, the trees were lashed together and floated down the river to market. In the spring, when these men returned from the lumber camps, Bytown became something akin to the Wild West. My Irish roots have become a source of inspiration in my writing. Over the past year, I’ve researched aspects of history that help paint a picture of my ancestry. These people have taken shape in my mind, and although I’ve never met them, they follow me and beg to be written about. 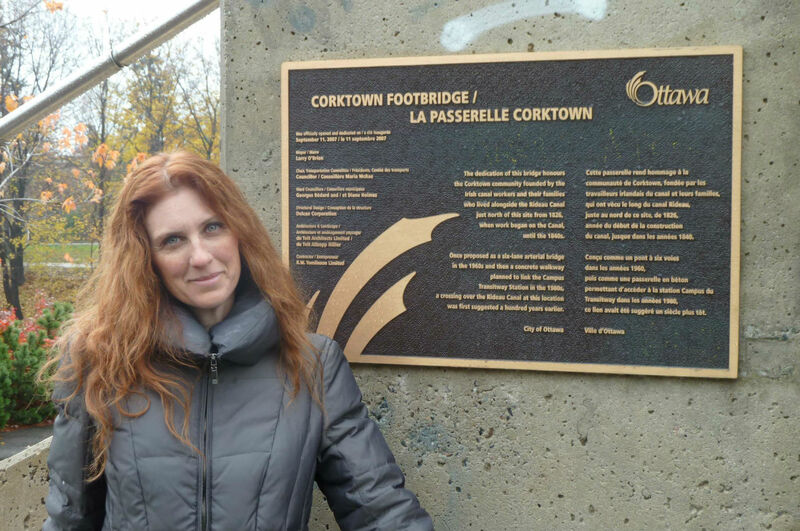 This past November, I walked along the Rideau Canal and imagined what my ancestors may have seen when they arrived in this new place. I looked at the larger rocks along the Ottawa River and wondered if John Lindsay’s father rests beneath one of them. I pictured Martha and her mother-in-law shedding tears of uncertainty, children standing with heads bowed, and John holding his hat over his heart. One morning this past winter, I opened the front door of our house to a winter wonderland, and the neurons began firing. I saw a snowbound shanty on the outskirts of Bytown, axes and crosscut saws, and the faces of the people now living in my mind, gathered by the hearth. With pencil in hand, I told the story they as they revealed it. 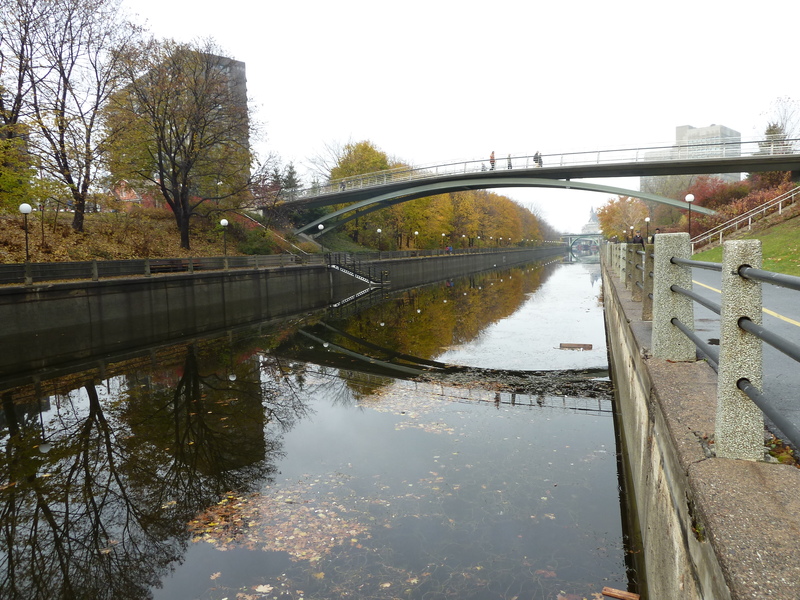 Corktown Footbridge: The Bytown neighbourhood flanking this section of the Rideau Canal was nick named for its Irish population, immigrated from County Cork . Have you caught the genealogy bug? Do you have an Irish anecdote to share? Please leave a comment! I’d love to hear from you. I sat yesterday and read letters from family in Ireland – some stories dating back to the potato famine. I have to say I put down the letters and thanked my lucky stars I was born when I was and not back then… it was a rough life. All the best with your research. My family likely came through Canada also, but settled in upstate New York. Thank you for the well wishes, Dawn. When we hear stories of how things were back then, it really is quite humbling. Some of my ancestors were Quakers. I found some information about where they’d settled in upstate New York as well. They came to Canada as Loyalists. This is something I will certainly explore in the future. My Irish Ancestors are from Cork! Nugents and Driscolls. So interesting that we have that Irish connection:) Many thanks for the nice complement. My Irish eyes are smiling! Caron, I’m tickled pink. I’ll blend right in when I visit the Emerald Isle! I heard that delightful Irish brogue when I read that comment. My Irish eyes are smiling. it’s wonderful that you are able to draw on your Irish background for your writing. I’m learning that it’s a deep well to draw from! Thanks for writing, Sheryl. Many years in Ottawa and nearby Quebec introduced me to several of the places you mentioned here. Very good reading about your first hand experiences and their impact on you. This is a beautiful, vibrant area filled with living history. Greatly appreciated reading your wonderful story. I knew I liked you. A few of my roots are Irish too, including my lace roots. 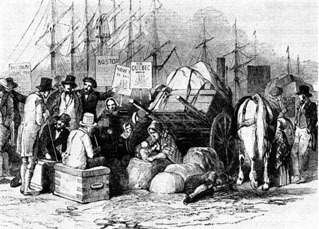 Even before the famine, many people were struggling financially and came to America. I’ve also wondered why my ancestors left exactly. However they did, they ended up here and I get the blessings for it. I have a very interesting book for you to read if you are interested in crochet lace and how Irish lace saved Ireland during the famine. 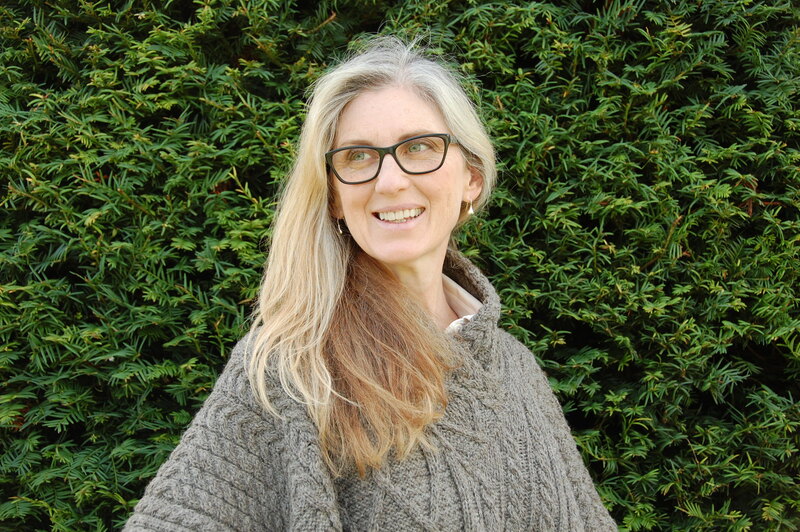 It’s called “Clones Lace, the Story and Patterns of an Irish Crochet” by Maire Treanor. I love genealogy. You uncover such beautiful history. Lace history is always beautiful, but especially Irish lace history. I’m so intrigued by the lace story. I will see if I can get my hands on that book. I am trying to learn more about the Clement Estate in County Cavan. I’ve read that my fourth generation grandparents were tenant farmers there. Would like to find a way to verify that. You are right, the stories are beautiful. Thank you so much for taking the time to share. Stephanie, thank you so much for writing. I don’t know how I missed your lovely note. My regrets on the delayed response. What a fabulous account! I only wish I had such a detailed record as I am by nature such a curious person. It is interesting that you linked your storytelling interests to your Irish roots. I often ponder the nature versus nurture question. The eldest of my female ancestors to arrive in Quebec was a storyteller and when she became widowed, she stayed with different families that welcomed her gladly because she was a great storyteller and kept them entertained. I’m sure this was a gift on a dark evening in a winter that seemed endless. Leslie, thank you so much for writing. Does your knowledge of your ancestry come directly from your family or have you been researching elsewhere?